When George Cobb designed the Surf Golf and Beach Club in 1960, he chose to create a traditional, parkland style course that is appreciated by all who play it. Players enjoy the traditional feel of the course that brings them back to the game, as it should be played rather than overshadowing old-fashioned golf with too much modernization. 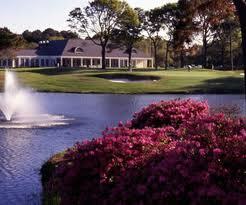 That is not to say that the course does not keep up with newer, more modern additions to the Grand Strand. In fact, this course is a favored hotspot for golfers from all across the country. This course has set the standard for future course designs, particularly for those that wish to capture the true game of golf. Featuring none of the fluff and plenty of challenges, this course is perfect for golfers of all skill levels. Surf Club does not have to rely on a visually deceptive course to draw in a long list of returning player. There are no gimmicks to be found on this course either. The only thing that this course has is wide-open gameplay. The fairways remain uncongested and unrestrained thanks to the absence of thickly crowding trees. Plenty of bunkers and natural undulations create enough of a challenge to please the avid and adventurous golfer. Surf Golf and Beach Club is perfect for players to practice their best-shot approach to the greens. The stunning backdrop of all-natural beauty adds to the traditionalism of this course. At the end of a successful round, golfers are welcome to take refuge in the charming and beautifully decorated clubhouse. When George Cobb designed the Surf Golf and Beach Club in 1960, he chose to create a traditional, parkland style course that is appreciated by all who play it.